The Victoria Racing Club (VRC) and Network Ten are excited to announce a landmark media rights partnership deal which will revolutionise the way the Melbourne Cup Carnival will be broadcast to audiences. The $100 million, five-year agreement effective from 2019 to 2023 is the biggest in the history of the VRC, and one of the biggest in racing globally. It entitles Network Ten to broadcast live the four days of the Melbourne Cup Carnival – AAMI Victoria Derby Day, Lexus Melbourne Cup Day, Kennedy Oaks Day, and Seppelt Wines Stakes Day. 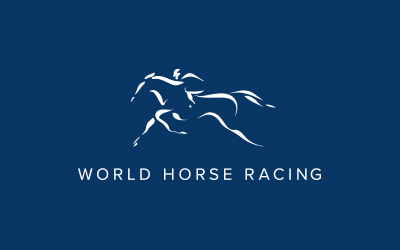 The agreement comprises a suite of Melbourne Cup Carnival media rights, including free to air TV, internet, social media, mobile, OTT (Over-The-Top) and HbbTV (Hybrid Broadcast Broadband TV) within Australia. Network Ten has also agreed terms with Racing.com to provide live coverage of all races across the Melbourne Cup Carnival on its channels and the Racing.com app. The live vision streaming rights for Wagering Service Providers are excluded from the deal with Network Ten. Network Ten previously held the television rights to the Melbourne Cup Carnival for 24 years from 1978 until 2001. VRC Chief Executive Officer Neil Wilson said the Club is delighted Cup Week will return to Network Ten. “This is transformational for us and for the racing industry,” said VRC Chairman Amanda Elliott. 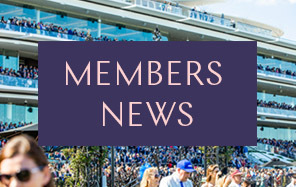 “Through this partnership with Ten, the VRC’s diverse range of content, including world-class racing, the vibrancy of the Birdcage, Myer Fashions on the Field, the colour and entertainment in The Park and all facets of our new world-class Club Stand will be leveraged via a whole of network approach throughout the year”. The Seven Network will remain the VRC’s broadcast partner for the 2018 Melbourne Cup Carnival and Mrs Elliott acknowledged the strong and lengthy partnership with the network. “While we are excited about this new stage for the Club, our heartfelt thanks go to the Seven Network, a valued and close Cup Week partner of ours for 16 years. Seven has broadcast the Melbourne Cup Carnival to millions of Australians and has played a pivotal role in assisting in growing the event into the global phenomenon it is today,” Mrs Elliott said. Outside Melbourne Cup Carnival, Group 1 racing from Flemington can continue to be viewed on the Seven Network until at least the end of June 2020. Mr Wilson acknowledged everyone who took part in this tender process. Network Ten CEO Paul Anderson said: “We are extremely excited that the Melbourne Cup Carnival is coming home to Network Ten. Our Network has a rich history with this world-class event having been the broadcaster of the race that stops a nation for over two decades. The Melbourne Cup Carnival is one of the most prestigious horseracing events in the world, and Cup Day is iconic, not just in the sporting calendar, but for all Australians. “Ten is home to some of Australia’s most loved programming and talent. As part of this landmark media rights partnership, all the thrill and excitement of the Melbourne Cup Carnival story will live on Network Ten across the entire year, and be showcased in new ways across our various platforms, including those of our parent company CBS. “We have a clear alignment between our audiences and everything the Melbourne Cup Carnival has to offer. We are looking forward to working with the Victoria Racing Club and establishing one of the best sporting partnerships in the world,” Mr Anderson said.